To ensure the accurate, complete and timely delivery of your propane, you must submit your propane meter readings on or before the 12th day of each month. For those members who do not submit propane meter readings, an estimated bill will be sent. A $25 adjustment fee will be applied to a bill if a member requests that an estimate be adjusted. Please remember that if you do not provide propane readings to the cooperative you run the risk of depleting your propane completely. Without a fuel source to heat your home this can lead to potential freezing conditions for you, your family and your home. In addition, you will be charged a fee for an emergency delivery of propane.  For questions please contact us at (800) 255-6815 or email us at feedback@theenergycoop.com.